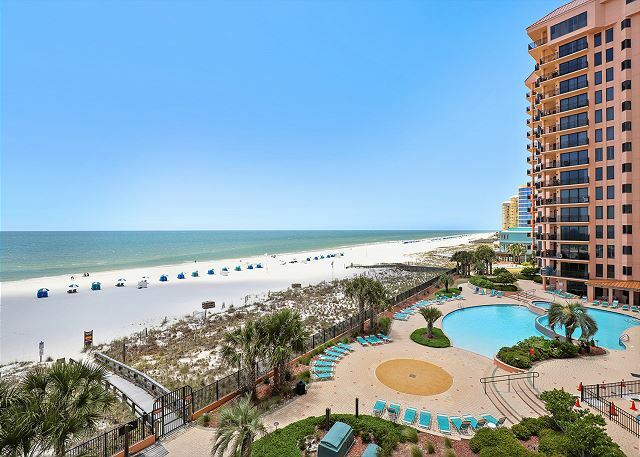 This 1342 sq ft fourth floor two bedroom, two bath condominium offers comfortable, “beachy” décor and breath-taking views of the Gulf from the master bedroom, living area, and large balcony. The remodeled kitchen features granite counter tops, breakfast area, microwave, dishwasher and laundry area with full size washer and dryer. 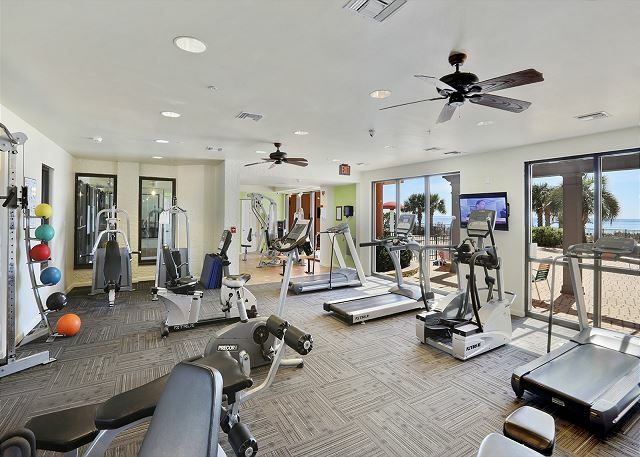 Other features include 9 foot ceilings throughout, ceiling fans, central heating and air conditioning, and a large master bath with whirlpool tub, separate glass enclosed shower, double vanity and lots of closet space. Good time and just some minor glitches. Spalding was very noisy! Guest bathroom toilet just wasn't the best. 3-5 flushes per BM. Our family had a wonderful vacation celebrating Mom’s 90th birthday! Our family rented 5 units. With th exception of the initial man at the gate, the staff was outstanding! Our unit had some issues, but Seachase worked to take care of us! The pool area was exceptionally nice, and we had a great week! 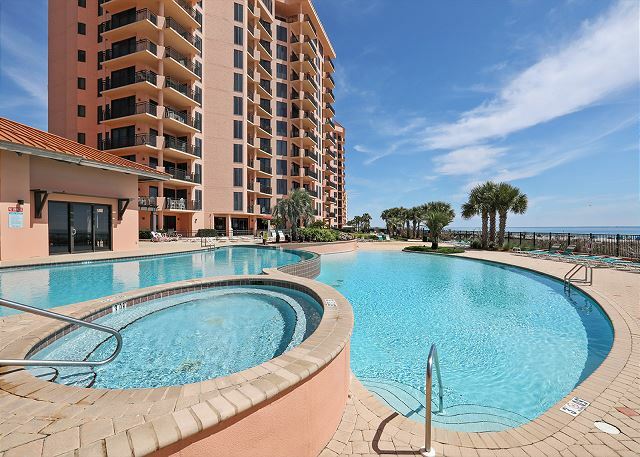 Very nice condo with good access to beach and pool. Views were awesome ! Good location and convenient to restaurants and other attractions. We enjoyed or stay ! SeaChase best location and friendly management to work with,we always recommend this place to everyone . Thank you! See you next trip! 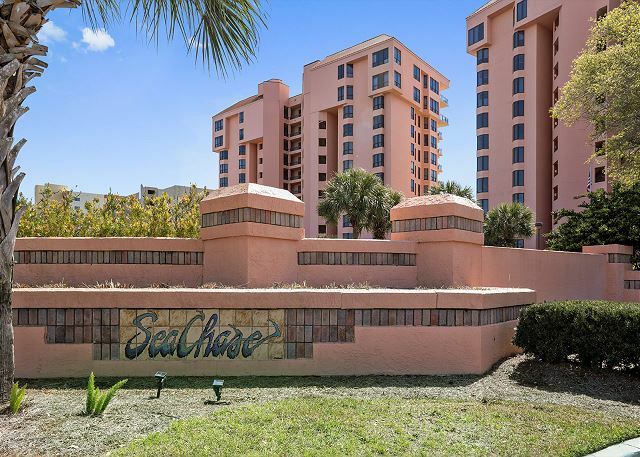 Seachase is a relaxing getaway! We rented 402 C and loved our stay! The condo was furnished with everything we could have wanted! The furniture was comfortable and the kitchen was well stocked! The library of movies and books avail was quite impressive! 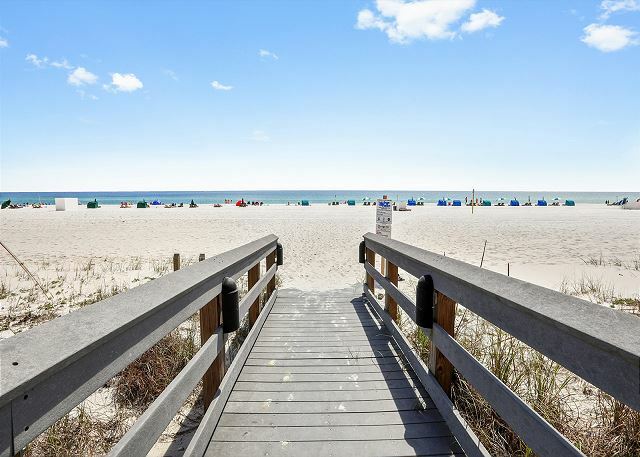 The unit is updated and clean and only steps away from the beach! The view is PERFECT from the balcony and the pools are nice too. We would highly recommend this unit! Another bonus is how many excellent restaurants are in the area--only 5 min drive away! 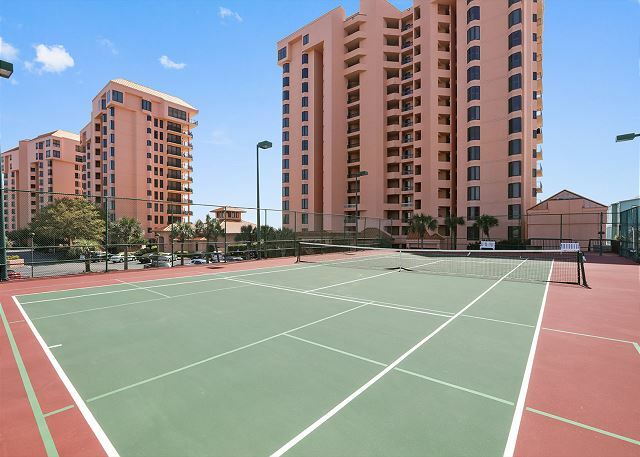 This condo is also conveniently located across from the grocery, starbucks and many more stores and restaurants!! Great place. Well secured and SAFE!! Thank you for taking the time to provide feedback; we appreciate your kind remarks! We're so glad you enjoyed your stay at SeaChase and hope to see you again soon. Everything was perfect, from checking, to. Checkout. Only downside was having to pay $20 for second parking pass. Great vacation experience. Second year in a row at this location. Same room. Very satisfied. Screen door in master bedroom needs fixing. Everything else was great. Wonderful, relaxing vacation! The condo was perfect! I purchased this vacation week for my grandchildren for Christmas last year. We had a blast. The condo was great and in a wonderful area. Very family oriented. Walmart and Winn Dixie right across the street which is wonderful. The only thing I did not like was that I rented an umbrella and 2 chairs on the beach and anyone could put umbrellas and anything else right in front of us. So don't bother renting. Bring your own stuff. You can put it right in front of the overpriced rental chairs. The experience is always good at SeaChase. The condo was nice. The only negative was mainly tile floor in the condo and we would have preferred more carpet.